I recently found this great recipe for hearty Chicken Tortilla Soup. Since I have had so much luck with soups lately, I thought I would give this a whirl. Another home run and my family LOVES anything we can serve with tortilla chips!!!!!!! I hope you like it too!! Bon Appetit!! Prior to serving, removed the chicken breast, Shred with a fork and season with salt and pepper. Return shredded chicken to slow cooker bowl. Stir gently. 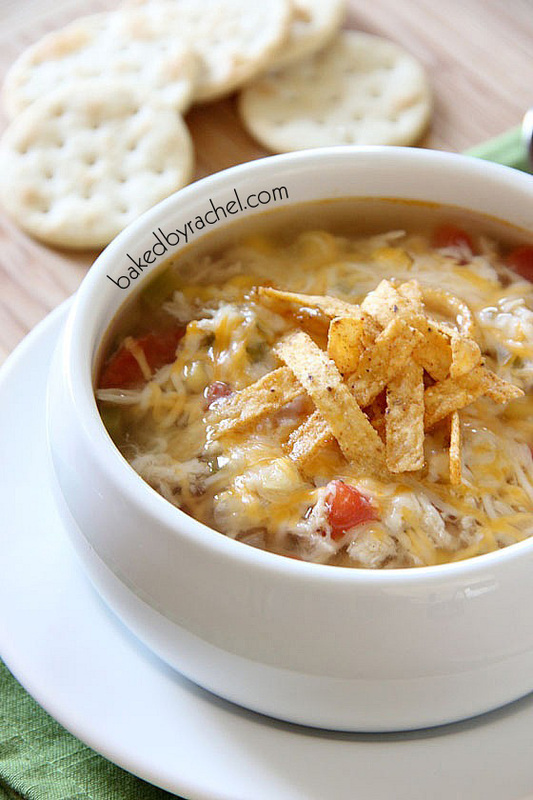 Pour soup into bowls and top off with a generous helping of cheese and serve with tortilla chips.